In this article, we’re going to look at how double glazed windows are made. Double glazed windows are windows that have two sections of glass with a space between them; they reduce heat loss and external noise. In recent times, the most popular material used for double glazed window frames is UPVC. uPVC frames are the most cost effect option in the market. However, they are excellent insulators and are almost maintenance free. You are no longer limited to white uPVC, you can also have a wood finish, too. The frame comes separate from the sill, which is the shelf at the foot of the window opening. Silicone is run across the top of the window sill and then the frame is sat upon it. At the bottom of the frames, are drainage holes; any water that infiltrates the frame run out of these holes and off the sill. 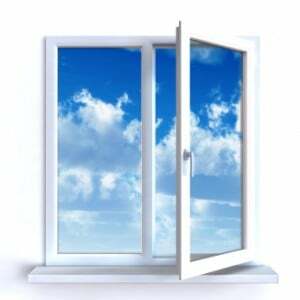 These days, the most popular type of glass is the heat retaining insulated range. This glass enhances the look of your home, it is energy-efficient and it’s suitable for most uPVC, Aluminium and timber frames. So, if you’re looking for the right company to fit your doubled glazed windows contact The Advanced Group. Not only do Advanced have years of experience and a vast range of window styles, they also make sure that all their work is carried out by their trusted and reliable tradesmen. So what are you waiting for? Call 08000 502 502 to get a free quote from one of our double glazed window specialists.